One of the best moments for a lot of small businesses is the moment that things grow to the point where it’s time to move it out of your home and into a dedicated space. After all, there’s a real sense of legitimacy to a business that runs out of a dedicated office rather than somebody’s spare room. That being said, there are also plenty of challenges involved in running any kind of office, many of which a lot of people aren’t likely to think about all that much. 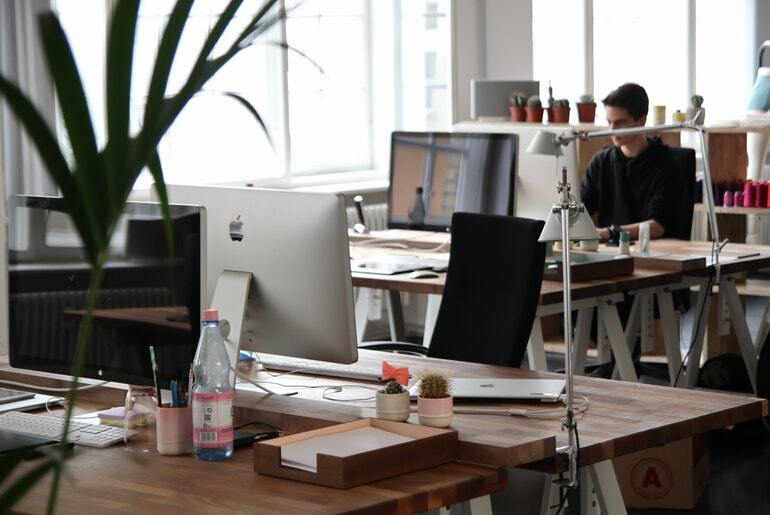 With that in mind, here are some ways to make sure that your office is the best possible working space. Safety might not be the first thing that you think about when it comes to creating the best and most efficient office space possible but the truth is that health and safety procedures are essential for any work environment. If your employees aren’t safe when they’re working in your office then you’re letting them down. Not only that but there are a whole host of issues that can come with any kind of accident. After all, if someone has an accident in your office because you didn’t have the right safety precautions in place, guess who’s going to be liable for that. One of the most common problems in any office is the sheer amount of junk that ends up building up over time. From filing cabinets to old computers that are no longer working, it’s easy for it to become incredibly cluttered. This is never going to make for a solid working environment. After all, think about how hard it is to focus at home when the place is a mess. One of the best things that you can do to reduce clutter in your office is to use an easy access self-storage unit to store things that you’re not using right now but may need in the future. Of course, there’s probably also some stuff that just needs throwing away! Light is one of the most important, yet most often ignored, factors in making your office a better space for everyone in it. If your office is too dark then your employees are going to be straining to see and struggling to stay motivated. If it’s filled with harsh, cold, artificial light then they’re going to end up feeling overwhelmed and it could even cause some serious headaches. Natural light is often the very best solution. The important things to remember is that your office is just another part of your business and every part of your business is worth paying attention to. There are no parts to any business that it’s possible to just ignore and forget about. You need to be sure that every single aspect of your business is getting the right amount of care and attention at all times. If you’re not paying attention to making your office the best possible space for you and your employees then that’s going to have a negative effect that ripples throughout your business.